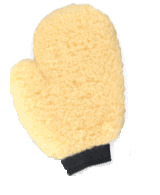 Made from soft, absorbent fibers. Can be used wet or dry. Comfortable fit for hard to reach areas.